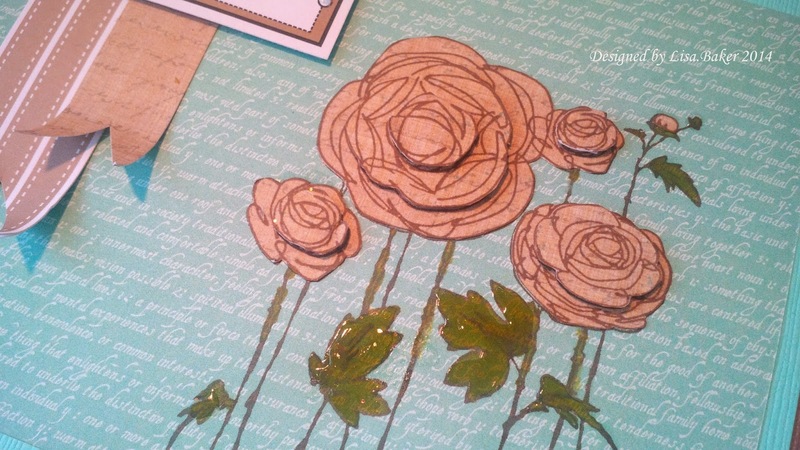 I started by Stamping the image using vintage sepia versafine ink on to a sheet from the gorgeous Teresa Collins 8" x 8" paper pad (my favourite pad at the moment it had lovely titchy prints in it ) this paper is a teal green script - scrumptious! I cut my paper down as the finished card is 7" x 7". This is gorgeous. 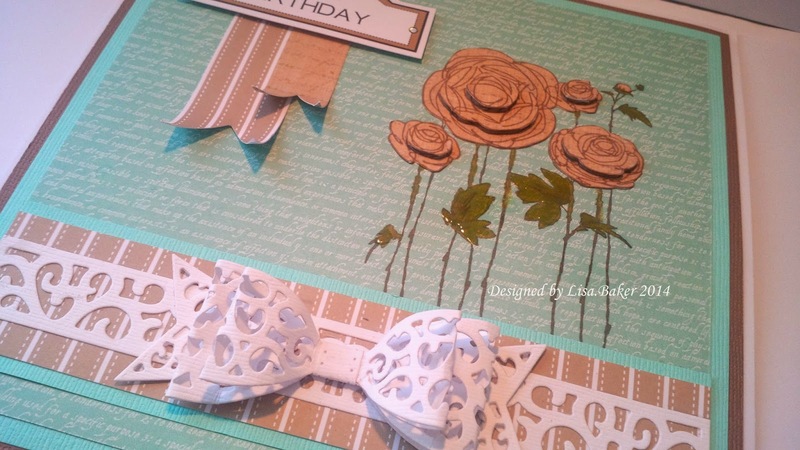 I love the image and the way you have layered up the petals looks fabulous. 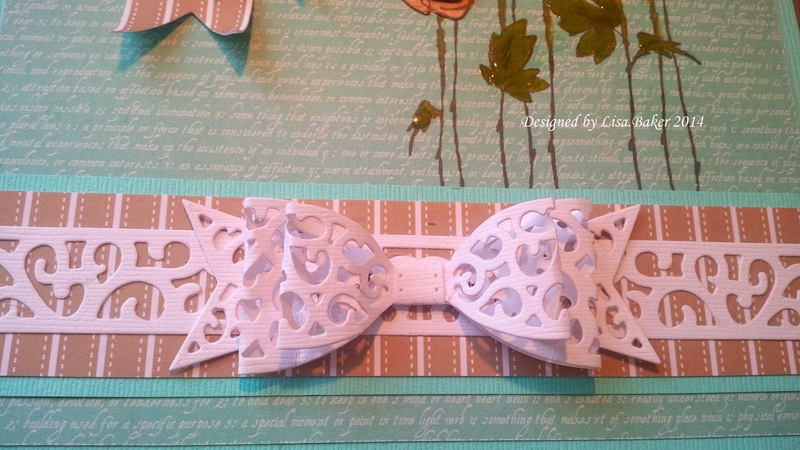 Such beautiful papers and the bow looks wonderful too. 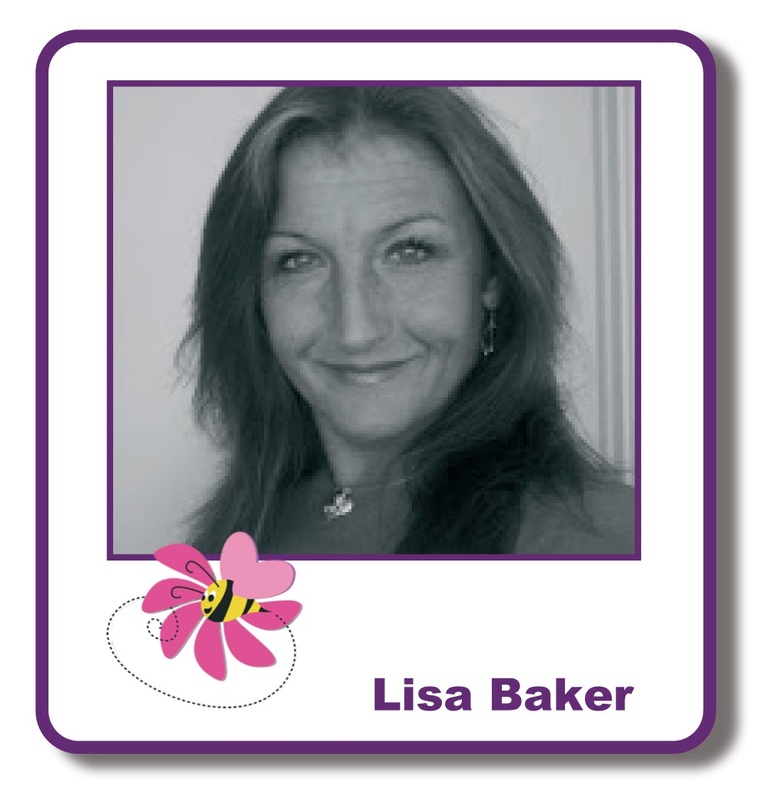 This is beautiful Lisa, so well designed and I love the colours. A beautiful card. 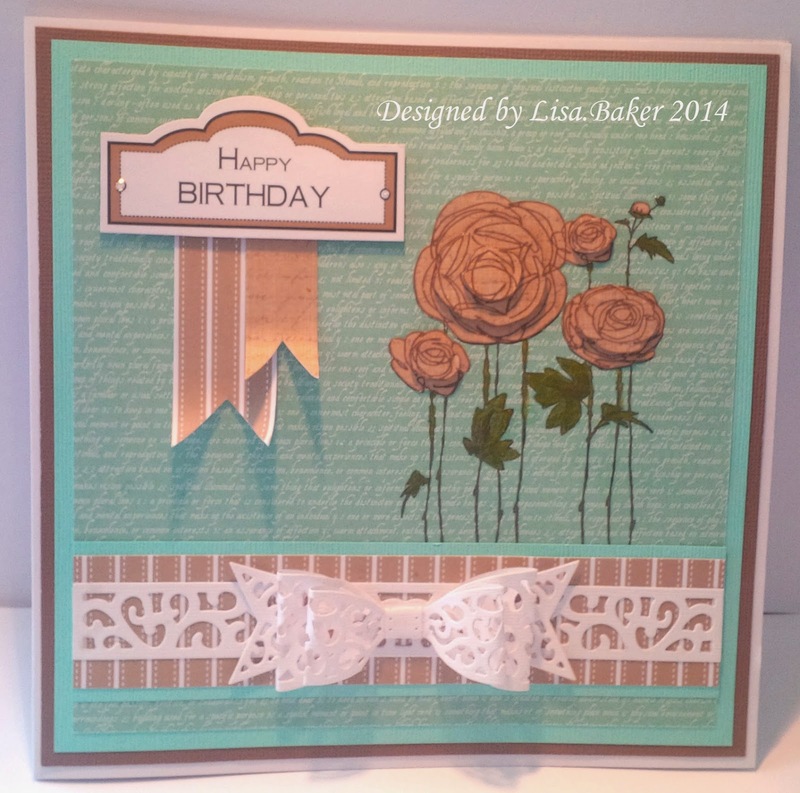 Love the stamp and how you have layered it to add more dimension.